Creating drop-down menus for your website's navigation bar offers a great way to group pages and help visitors discover them — without having to click their way to each one. It also helps keep your navigation bar more compact. 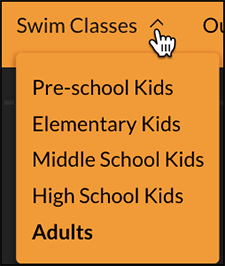 Select Drop-down menu, add Menu Title, and click Create Menu. 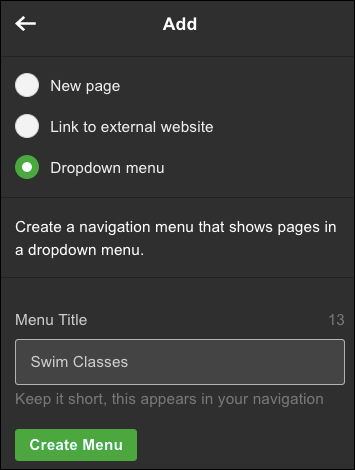 An empty drop-down menu appears in your Pages & Navigation list and the navigation bar. Dragging existing pages so they sit under the drop-down menu in the Pages & Navigation panel. 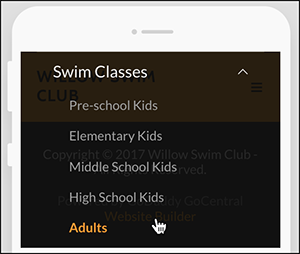 Adding new pages by clicking the drop-down menu in the Pages & Navigation panel, selecting Add Page, filling in the Page Title, and clicking Create Page. To see how the drop-down menu will look to customers, click Preview. How to add a section of my website to the navigation bar? How to Add Search engine to my website? How to Add an Application to my website? Can I add my etsy link to my website?